In algorithm design for predictive maintenance, Data preprocessing is often necessary to clean the data and convert it into a form from which you can extract condition indicators. You can perform data preprocessing on arrays or tables of measured or simulated data that you manage with Predictive Maintenance Toolbox™ ensemble datastores. 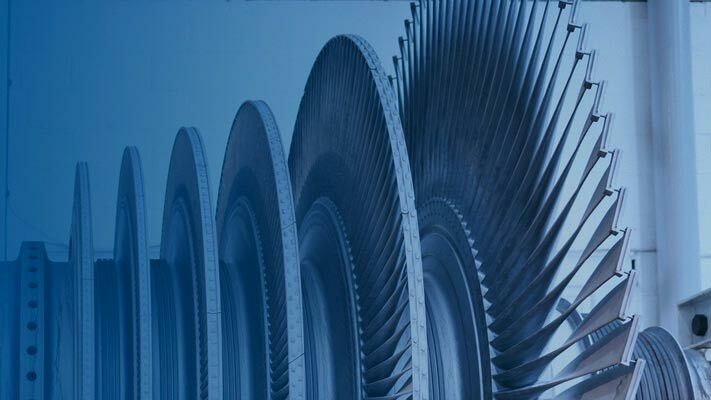 For an overview of some common types of data preprocessing, see Data Preprocessing for Condition Monitoring and Predictive Maintenance. 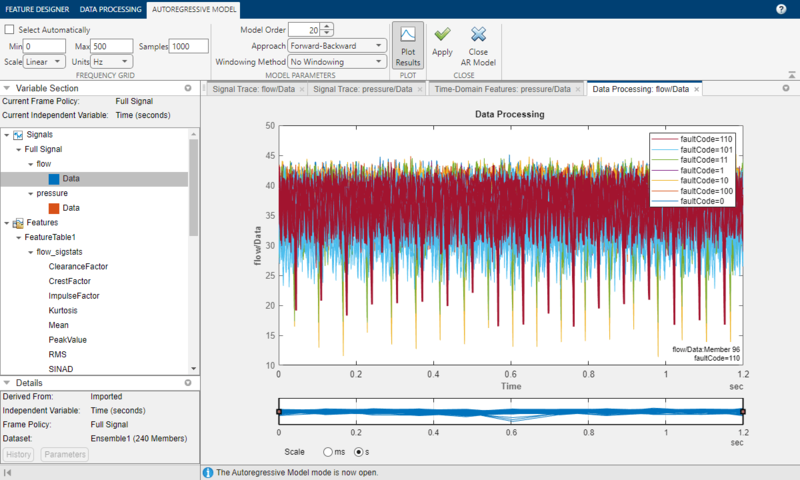 The Diagnostic Feature Designer app lets you perform many preprocessing operations interactively. The processing tools in the app include filtering, time-domain processing, frequency-domain processing, and interpolation. App time-domain processing options include specialized filtering for rotating machinery. For more information on the app, see Explore Ensemble Data and Compare Features Using Diagnostic Feature Designer. Use signal-processing techniques to preprocess data, cleaning it and converting it into a form from which you can extract condition indicators. Knowledge of your system can help you choose an appropriate preprocessing approach. Workflow for interactively exploring and processing ensemble data, designing and ranking features from that data, and exporting data and selected features. Organize measurements and information for multiple systems into data sets that you can import into the app. Filter and transform data within the app. Extract features from the imported and derived signals, and assess feature effectiveness. 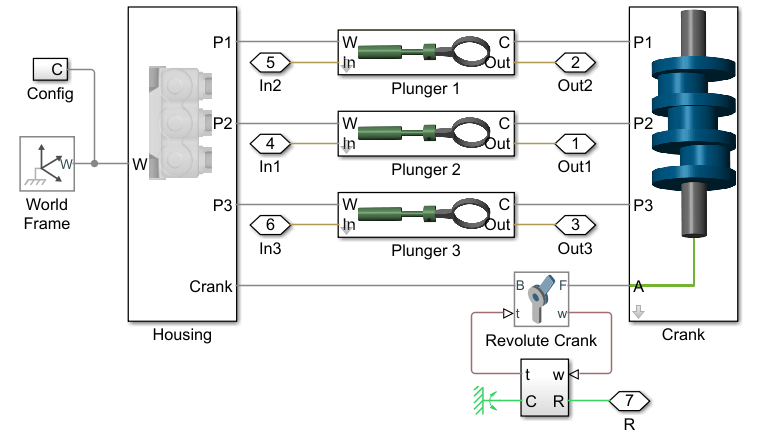 Use a Simulink model to generate faulty and healthy data, and use the data to develop a multi-class classifier to detect different combinations of faults. Use the Diagnostic Feature Designer app to analyze and select features to diagnose faults in a triplex reciprocating pump. Build an exponential degradation model to predict the Remaining Useful Life (RUL) of a wind turbine bearing in real time. 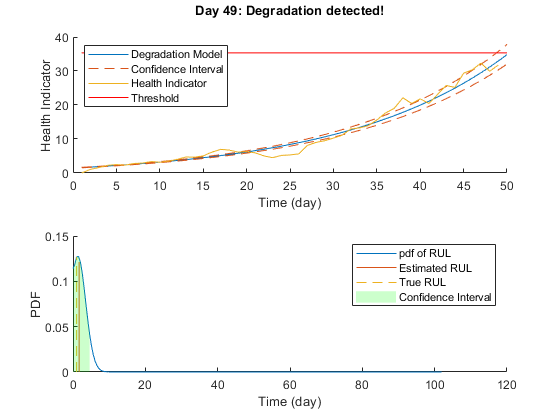 The exponential degradation model predicts the RUL based on its parameter priors and the latest measurements.